We offer an extensive range of domestic / home and office cleaning services throughout Bognor Regis, Chichester, Felpham and all surrounding areas. 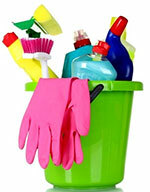 Maid In West Sussex is a family run business offering house cleaning and office cleaning services throughout West Sussex. We operate from our base in Bognor Regis, West Sussex. After many years of working for other cleaning companies we felt we had more than enough experience to form our own company. We wanted to offer a better service than the company we worked for, plus we certainly knew we could offer our cleaning services at lower prices! We started off very small with just a couple of clients (friends really), cleaning their homes and progressed from there. We decided to advertise and Maid In West Sussex was born. We now have small database of regular clients both domestic and commercial. And thanks to our dedicated cleaners (who are all courteous, reliable & experienced) our company has gone from strength to strength. (Our cleaners have all been vetted and where possible interviewed in their own homes. References are always verified for authenticity). As owners of the company and to ensure high standards at all times, we have ‘hands-on’ positions within the company. We are fully aware of what goes on day to day basis and clean alongside our cleaners. This way we can deal with any queries immediately, should any arise. 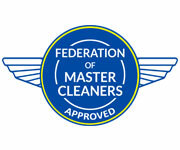 The Federation represents domestic and commercial cleaning companies throughout the UK and encourages high standards of quality and service. As members, we are bound by the federations code of conduct and have satisfied their membership criteria.